Sally Marchand Collins regularly transforms herself from a diminutive uptown hairdresser to a single track-shredding she-beast ripping through local mountain-bike trails all in the same day. She spends her free time with her two Aussie rescue dogs, Charley Cheyenne and Sadie Cheyanne. 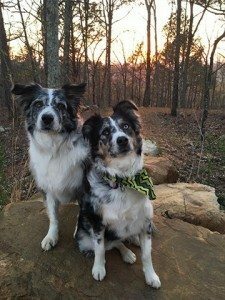 They brighten her life, especially when they run the trails with her! Sally is the owner and artistic director of Sundance SalonSpa, an award-winning Aveda Concept Salon, in the quaint village of Zionsville, Indiana. Her love for making people feel beautiful from the inside out started more than 30 years ago, when she first became a hairdresser. In 1994, she married Pete Collins, and in 1997, they opened Sundance SalonSpa. Four short years later in 2001, Sally lost Pete to Leukemia. It was her reconnection with the bicycle that kept her moving forward. On a brisk 26-degree February day just one week after Pete’s funeral, Sally started training with the Leukemia and Lymphoma Society’s Team in Training cycling team, aiming to conquer the annual 100-mile bike ride around Lake Tahoe. 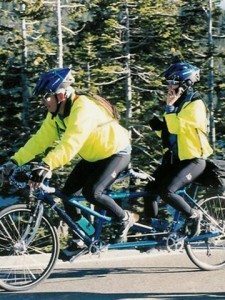 Her father, Normand Marchand, was 65 years old and he took Pete’s place on the tandem bicycle. They began training together. Participating in that ride made her realize the bike gave her wings to live life minus one. The following year she became a coach for that same TNT team, and she remains committed to raising money until a cure for cancer is finally found. That Tahoe ride sparked a fire inside Sally, who began competing in endurance events, eventually becoming a sponsored athlete in 2007. In her first season as a professional mountain-bike racer, she stood on the podium of the 24 Hour Solo Elite World Championships held in Monterey California. 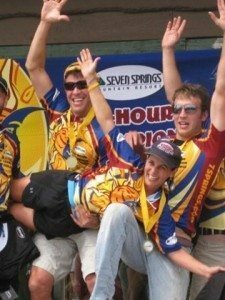 In 2008, Sally returned to the 24 Hour Solo Elite World Championships (this time in Australia), competed in Canada’s TransRockies race, and finished third in the Coed Division of the Race Across America (RAAM). 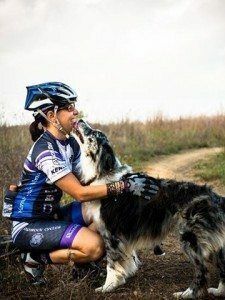 In the ensuing years, Sally has also competed in numerous other endurance events, including the Mayhem 24 Hour Solo mountain-bike race in England and the Dublin Marathon in Ireland, all while fundraising for cancer research. Despite having an impressive racing career, Sally remains most proud of helping others achieve their goals as they raise money for cancer and train for the Tahoe century ride. 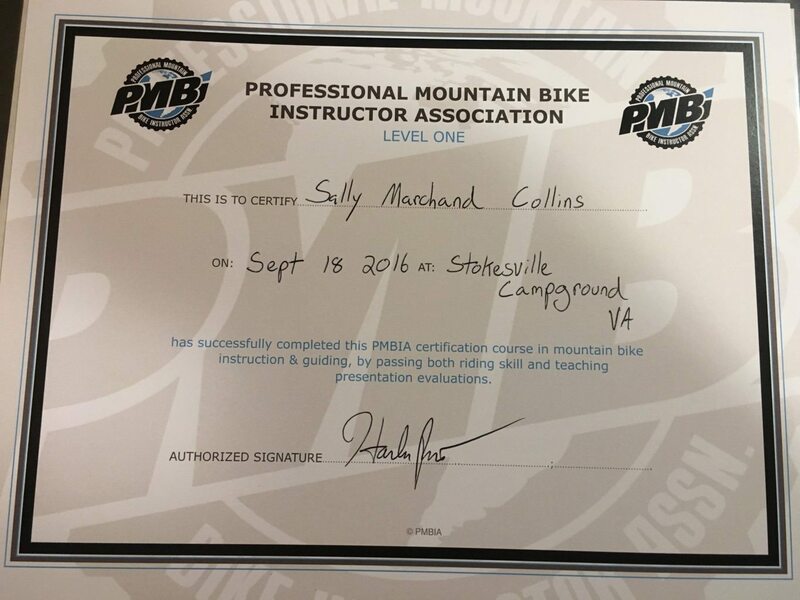 Sally’s passion for mountain biking clinics started in 2003. 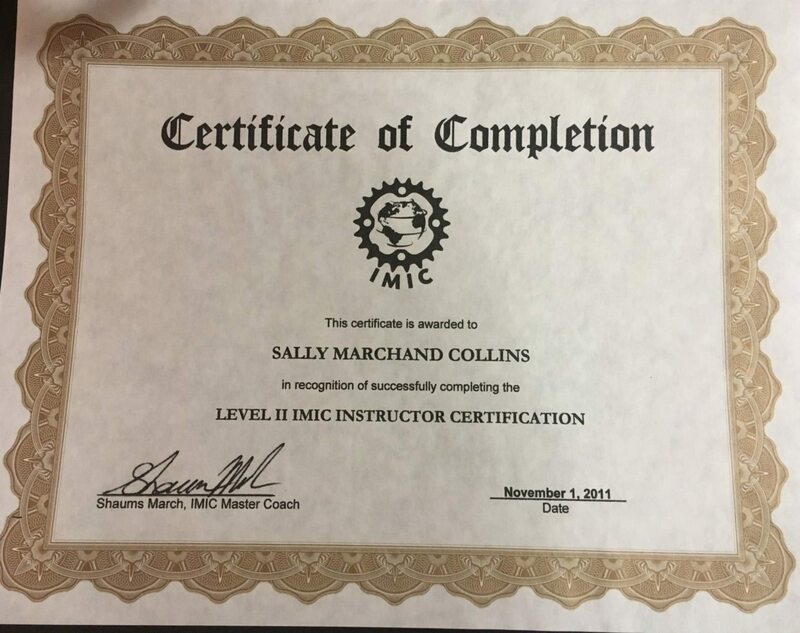 A love for education and instruction led her to become certified with both the International Mountain Bike Association (ICP Level 1 and 2) and the Professional Mountain Instructors Association (Level 1 program). She is the owner and Chief Enthusiasm Officer of Sundance MTB Skills Clinic & Adventure. 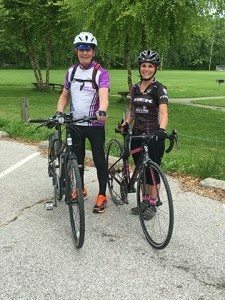 Since 2002 she is also certified with the Leukemia and Lymphoma Society’s Team In Training Cycling Tier 1 and 2 Program. Trek recently noticed Sally’s accomplishments and background and selected her to be one of Trek’s 53 Women’s Advocates World Wide. As you can see… she continues her dream of getting more women on bikes. In 2017 Sally was just chosen to be an ambassador for Ryan Leech with Ryan Leech Connection, based out of Vancouver, BC Canada, offers mountain bike video training and interactive coaching to support the growth of mountain bikers riding performance and experience. In June of 2016 Sally and her 80 year old father completed 100 miles again in Lake Tahoe. 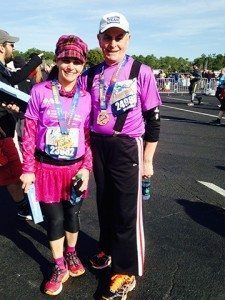 In 2015 they ran the Disney Half Marathon where her father received his Triple Crown Award with LLS. His stories are priceless. 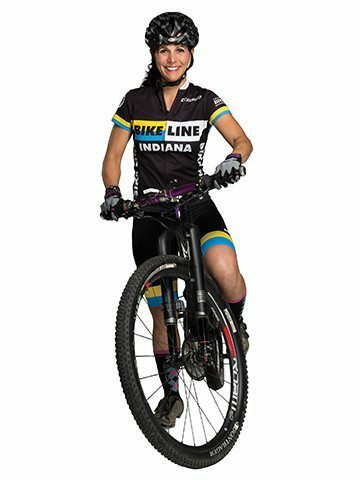 She is proud to be the new owner of the Midwest Women’s Mountain Bike Camp, which will hold its 12th annual event in Brown County State Park in 2017. This clinic empowers and encourages women in mountain biking, helping them build confidence, strength, and camaraderie that they can carry into all other aspects their lives. She is truly passionate about helping people overcome their fears and finding their childhood smile while riding a bicycle. Her hope is to help you find “YOU” again after life has thrown a wrench in your spokes.